People like to argue over which controller is the all time best. John Milner decided to side-step that debate entirely and just hook them all up. 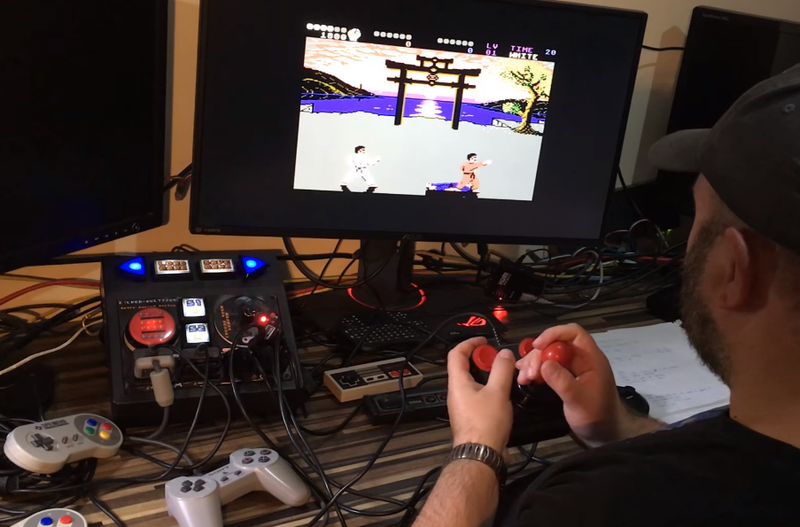 Milner, who goes by jfrmilner online, liked being able to play old games on his RetroPie, a modded Raspberry Pi mini-computer, but didn’t like needing to use an Xbox 360 controller to do so. Where some might have simply resigned themselves to the first world problems of contemporary gaming, however, Milner decided to do something about it. For the case, he simply ordered something off Ebay and then milled out slots for each of the buttons and proprietary cord inputs. Going above and beyond the simple idea of adding ports for each retro control-type, Milner also added some spiffy buttons for the console commands, like “save game” that make the entire thing look like a cool, low-budget, futuristic prop from an old episode of Doctor Who. The end result lights up and everything, although the mess of wires involved means you’ll want to have a good stock of cable ties available before your dreams of multi-controller bliss get all tangled up. You can see Milner talk about the project in some detail, and also give a demonstration of how easily it works, over at his YouTube channel.